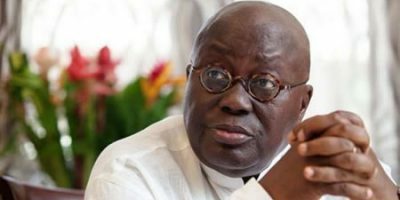 Ghana?s President Nana Addo Danquah Akufo-Addo, has stopped all ministers of state and government officials from travelling abroad until further notice. The directive was issued in a press statement signed by chief of staff Akosua Frema Osei-Opare and warned that only foreign affairs and regional integration minister Shirley Ayorkor Botchway would be allowed to travel, Ghana Web reported on Monday. The reason behind the temporary ban remains unclear, but it is believed that continual travel by government officials was disrupting its domestic work. It also follows concerns raised that there was a culture among government ministers and officials of preferring to travel around the world instead of staying in their offices and working. This led to a former deputy Chief Executive Officer (CEO) of the Ghana Tourism Development Company resigning because her superiors were travelling too much. Ohenea Akua Manfo, also known as Akua Blakofe, fumed that her boss, Kojo Antwi, preferred to travel abroad regularly and pocket the company?s estacode rather than work. The President of the Republic has directed that all foreign travels by Hon. Ministers, Deputy Ministers, MMDCEs and Heads of Government Agencies be temporarily suspended with immediate effect. Guidelines in respect of future foreign travels aimed at minimising disruption to Government?s domestic work, will be communicated to you shortly. The Hon. Minister of Foreign Affairs and Regional Integration is, however, exempted from this temporary ban on foreign travels. Please acknowledge receipt and accept for strict compliance.